Elected intendant September 20, 1813, succeeding Thomas Bennett, Jr. Re-elected September 19, 1814; resigned March, 1815, and was succeeded by Elias Horry. Born 1768, died March 28, 1829. Son of Roger Smith and Mary Rutledge, graduate of Cambridge University, married Anne Rebecca Skirving 1795. Planted at the Skirvings' Bluff Plantation (Chehaw River) in St. Bartholomew's Parish. Represented St. James, Goose Creek, Parish during four General Assemblies, 1792-1799; represented St. Philip's and St. Michael's parishes during one session, 1800-1801. Bailey, N. Louise. Biographical Directory of the South Carolina State House of Representatives. Volume 4, 1791-1815. Columbia: University of South Carolina Press, 1984. Charleston City Gazette, September 21, 1813; April 1, 1815. Charleston Courier, September 20, 1814; March 23, 1815. Shaffer, E. T. H. Carolina Gardens. 3rd ed. New York: The Devin-Adair Co., 1963. 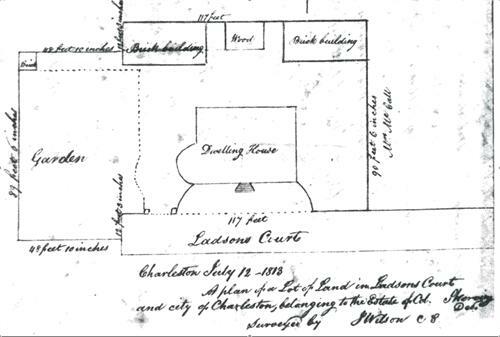 Thomas Rhett Smith and his family lived at 2 Ladson Street when he served as Charleston's intendant. Thought to have been built by John Drayton, the builder of Drayton Hall, by 1803 this house belonged to William Skirving (d. 1812), whose daughter was Thomas R. Smith's wife. 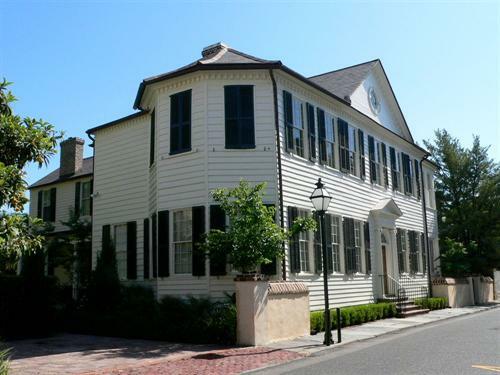 Smith bought 2 Ladson Street in his own right in early 1813, and sold it in 1817. Plat of 2 Ladson Street in 1813.